These Teachers Thought They Were Here For The District Meeting Before School Started. They Didn’t Expect THIS! Back-to-school season is something dreaded by kids and loved by parents, but apparently, teachers have their own qualms about the “back to school” madness! They need to finish up all of their lesson plans, decorate their classrooms, and a ton of other duties before the first day of school. It can be a stressful time for them as well! They want to make sure that they are prepared for anything the kids throw at them when that first bell rings, and they will hope that they’ve gotten everything done in time! A lot of preparation goes into the school year curriculum, and these teachers are doing everything they can to be prepared. 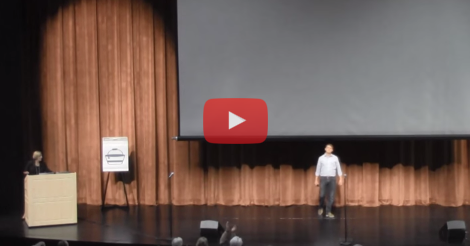 When this school district for West Des Moines, IA met for their meeting before school starts up, the speech is suddenly interrupted by music and a lone teacher walking out onto the stage dramatically with a microphone. They broke out into a flash mob singing “One More Day” from the musical Les Miserables, changing the words to fit their profession. The performers are amazing, and it turns out that the main singers are actually the music teachers from each school in the district. They recruited a few of their teacher friends to join in the chorus, and the results are fantastic! What a way to kick off the school year! 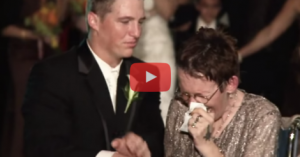 His Mother Is Bound To A Wheelchair, But That Doesn’t Stop This Groom From Shocking All Of The Guests!